In an unprecedented piece of research, the editorial team at Medical Plastics News has embarked on a poll of its readers to compare biocompatible polymer brands against one another. The brands selected for the poll are those described by their manufacturers as medical grade, most of which are tested according to a number of tests under ISO10993, the international standard for biocompatibility, and USP Class VI, a set of standards for plastics used in healthcare applications produced by independent association United States Pharmacopoeia (USP). The number of tests performed under these standards varies from brand to brand. 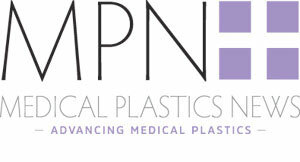 The polling process involves a survey of readers of Medical Plastics News, asking them to comment on a list of brands of biocompatible polymers by saying how well they have heard of them and, in turn, how favourably they feel towards them. The survey will also collect high level information from readers about their outlook on the medical plastics industry. Working directly with leading resin manufacturers and a leading independent polling company, Medical Plastics News managing editor Sam Anson has designed the survey to ensure that it is fair and respresentative of the biocompatible resin purchasing community. Commenting on the process, he said: "One of the key challenges when performing market research on polymer resins is ensuring that we group like products together. It is pointless comparing brands of commodity polyolefins like Bormed from Borealis with Invibio PEEK, for example, because they are completely different products sold at different price points for very different application areas." He added: "We have grouped polymers together so that meaningful comparisons can be drawn between the many products branded as medical polymers. We aim to qualify respondents to ensure that they are upstanding members of the polymer purchasing community."